Kudos to BBC for producing the Panorama on "The Spies Who Fooled the World". Journalism at its best. BBC doesn't hesitate to take on politicians irrespective if there were British or American and the Intelligence agencies of Britain, America, Germany, France, Italy & Iraq. They expose the whole shady Intelligence which was built up to go for the war against Iraq in the name of WMD. The lies which cemented the British & American troops to attack the Iraqis for 10 years which has left 4000 allied soliders & between 100000 to a million Iraq ˆ. Not sure if either Blair or Bush would be ever tried for believing in the murky Intelligence which their own Intelligence Officers had warned. They shall carry the guilt to their graves for so many lives that was lost in the war, which was built of lies. One could summarise the war with John Lyly's proverb, "All Is Fair in Love and War". 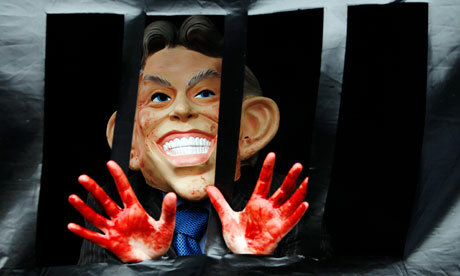 Image:Luke Macgregor/Reuters | What Britons say on the 10-anniversary of the war.